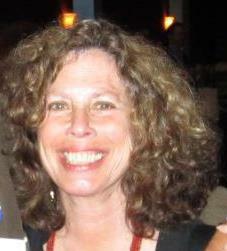 Janet A. Rudolph is the Editor of the Mystery Readers Journal and Creative Writer/Director at Murder on the Menu and TeamBuilding Unlimited. She blogs daily at MysteryFanfare.com and DyingforChocolate.com, facilitates a weekly mystery book group, hosts Literary Salons with crime writers, and has been a committee and Board member on numerous mystery conventions, including Bouchercon and Left Coast Crime. A long-time contributor to the mystery genre, she received her Ph.D. in religious mystery fiction. She lives in the Berkeley (CA) hills with her husband, two golden retrievers, and three cats who often appear on her Facebook Page along with a daily garden/rose photo (Behind My Garden Gate). She loves gardening, photography, reading …. and long walks on the Beach in Bodega Bay, birds notwithstanding. She is a member of Mystery Writers of America, the International Association of Crime Writers, Sisters in Crime, and the American Crime Writers League. The Mystery Readers Journal is the official publication of Mystery Readers International. Originally started as a newsletter to update the local mystery community on fun events, it is now one of the most important periodicals in the field. A quarterly, each issue focuses on a specific theme with major articles, author essays, special columns and a calendar of events. Members of MRI award the coveted Macavity for excellence in mystery writing.